Perfectly Peruvian Cuisine Recipe - A Rainforest Feast! Tired of the usual Sunday roast? Join Enchanting Travels on a taste-tingling, global journey and discover a mouthwatering traditional Peruvian cuisine recipe. Peruvian cuisine has evolved from both local and immigrant traditions and is influenced by Peru’s geography. During your travel in Peru you can enjoy the abundant seafood from the coast, tropical fruits from the jungle and a wide range of unusual and nutritious varieties of grains from the Andes. Chili peppers are also popular in the food, adding extra spice to the table. In the 15th century the Inca Empire had a well-established agriculture system that used elaborate irrigation terraces and channels to help with food cultivation on the steep Andean lands. Potatoes were the first cultivated crop in Peru and so features heavily in Peruvian cuisine recipes. A private tour of Peru is a perfect way to tickle your taste buds! Until then, our friends at the rain forest lodge Posada Amazonas have provided Enchanting readers with delicious recipes that utilize Peru’s native ingredients and time-honored methods to cook at home. Peruvian Cuisine Recipe: Sample these! Known as the mother grain and sacred by the Inca, quinoa was a most important native ingredient for pre-Hispanic Andean civilizations. The first grains would be sown by a golden tool. Eaten widely across Peru and Bolivia, traditional quinoa is a modern-day super food with its impressive nutritional value, not to mention it’s gluten-free! Quinoa is thought to have originated in Lake Titicaca, Puno and it is harvested at over 3,500 meters above sea level. 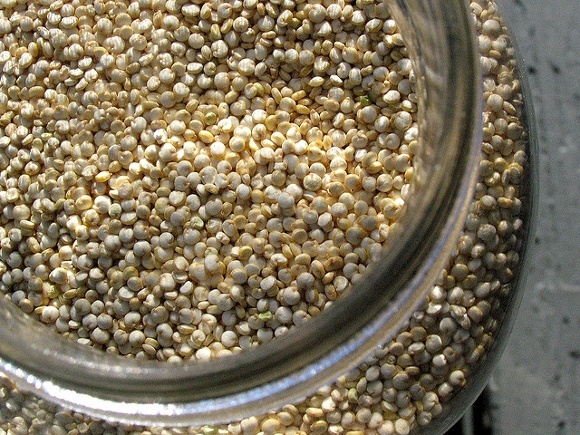 Boil the quinoa in a pan of water for 10 minutes. Strain the quinoa and keep aside, but keep the water. Heat the oil in a separate frying pan and add red pepper, garlic and cumin. Add the fried red pepper, garlic and cumin to the strained water, as well as the diced potatoes and a little salt. Boil until the potatoes are soft. Finally, add the quinoa and chives. Turn off the heat and add the fresh cheese and cilantro. Season to taste and serve with chopped hard eggs. Top Tip: Hungry? Snack on tacachos, made from flame roasted plantains/ bananas that have been ground in a mortar and mixed with lard and a sprinkle of salt. Tacachos are a specialty in the East of Peru. 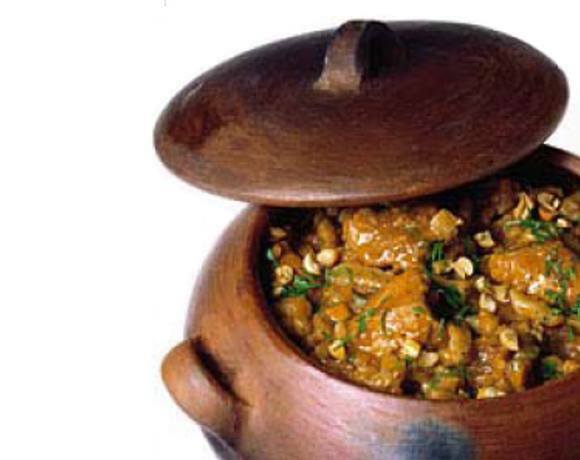 The famous Carapulcra is the result of another Peruvian dish called Pachamanca, which is a mixture of meats and vegetables that has been cooked in a ground pit of hot stones. Potatoes of Pachamanca are cut into small pieces and then dried outdoors, which means they stay unspoiled. Carapulcra comes from the quechua words Kala meaning “hot stone” and Purka meaning “hollow” in the floor. It stands as a recipe of its own once the dried, chopped potatoes have been re-hydrated and cooked. Toast the dry potatoes with the cloves and then soak them overnight. Chop your meat into pieces, season with salt and pepper and then gild them in oil in a large pan. Lightly fry the onion, garlic paste and the hot pepper pastes. Then add the wine, ensuring the pan is on a simmering flame. You can then add the potatoes you re-hydrated from the day before, as well as the broth, and cook the meat until it is tender. Posada Amazonas provides mouthwatering local cuisine. To try the best Peruvian cuisine recipes first-hand, plan your culinary trip with us!